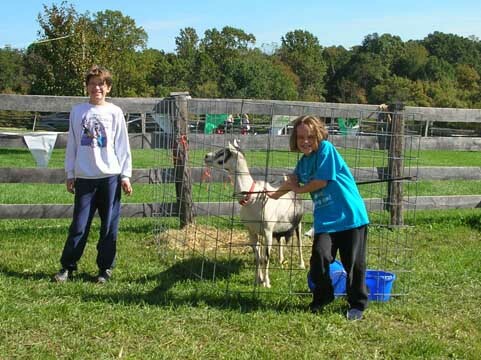 We went to the 2006 Montgomery County Agricultural History Farm Park's Harvest Festival, first time we've been there. It was like a miniature county fair, only without the awards and amusement park rides and crowds and alpaca races and with demonstrations of hay baling, tinsmithing, assorted needlecrafts, laundry using 18th century equipment, scarecrow-making, herb planting and cornhusk doll design. 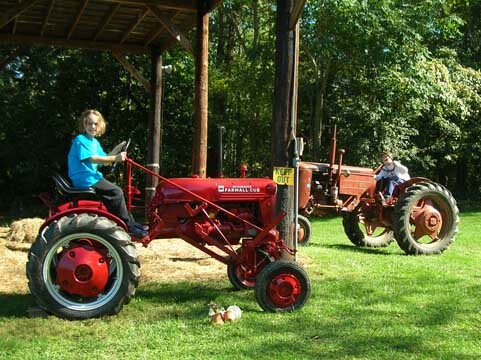 There was also live bluegrass and folk music, antique farm equipment on display near the historic farmhouse and barn, a craft show in the newer barn complex, gardens with herbs and dahlias, samples of locally harvested honey and locally churned butter, funnel cakes, goats, pigs, chickens, cows, horses, alpaca, bees...lots of fun! ...but I must admit that the muddy little piggies are probably my favorites. 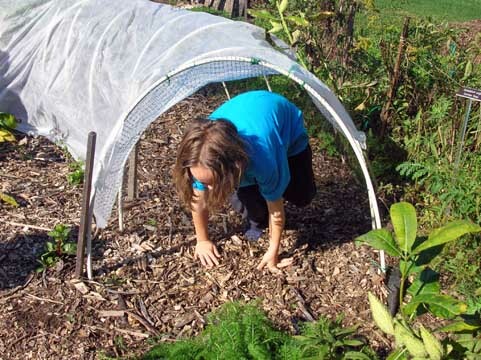 Adam crawls through a tunnel in the herb garden. A little girl having "tea" in the garden. 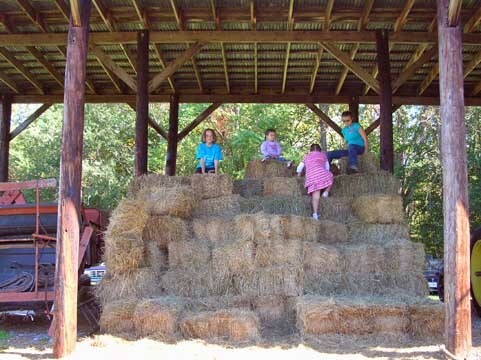 ...and Adam climbs on the haystacks. ...and listening to music in the barn.